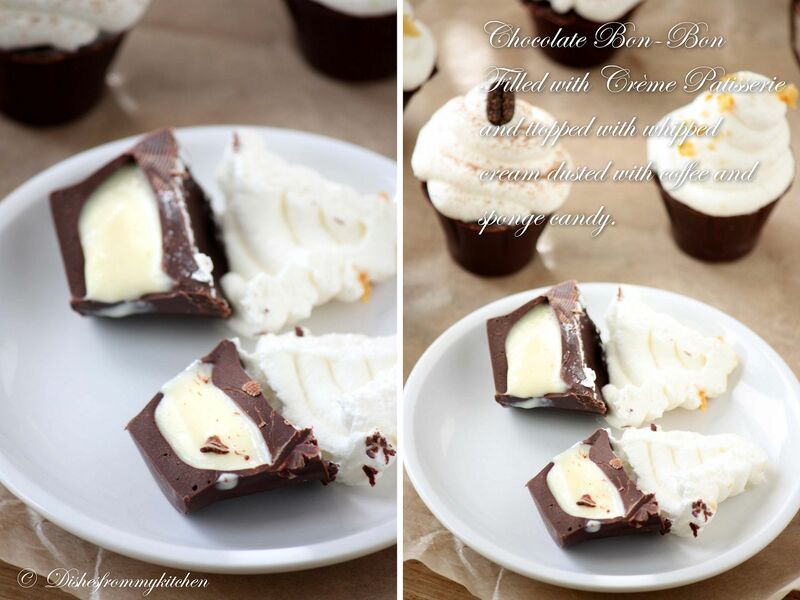 Dishesfrommykitchen: DARING BAKER'S CHALLENGE AUGUST 2011 - CANDYLICIOUS !!! DARING BAKER'S CHALLENGE AUGUST 2011 - CANDYLICIOUS !!! As every DB challenge I loved this one too and enjoyed making it. This was truly fun filled challenge for chocolate lovers. I hope you will enjoy seeing them as much as I enjoyed by making them. Please bear with number of pictures as this post has loooooooong tail. Seeing through all my pictures, you can find a brief about each one in their picture itself. 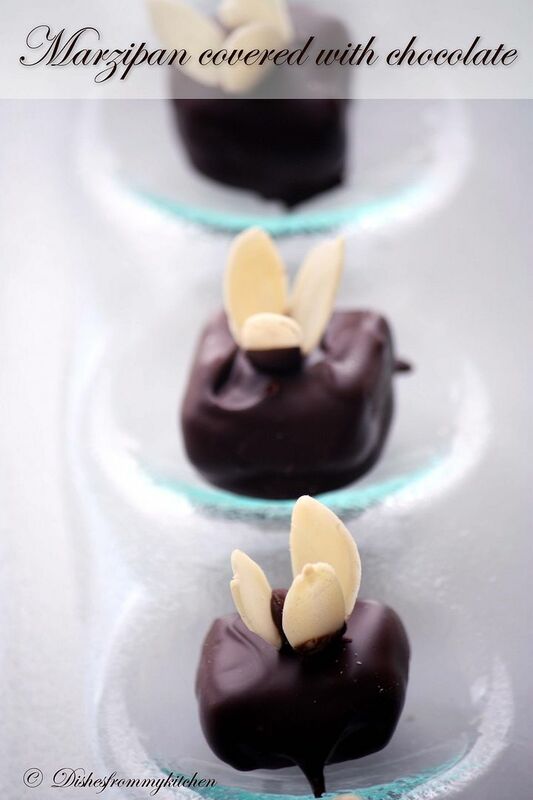 “Tempering is a method of heating and cooling chocolate in order to use it for coating or dipping. 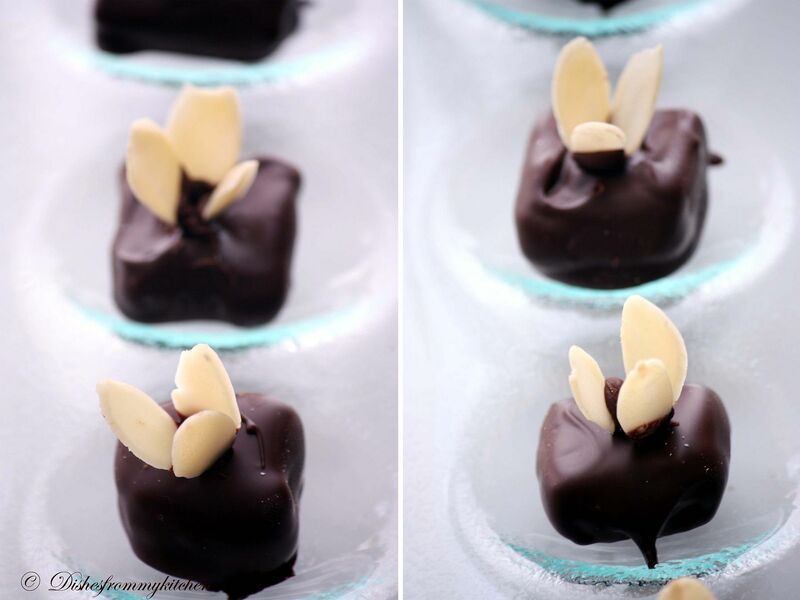 Proper tempering gives chocolate a smooth and glossy finish. 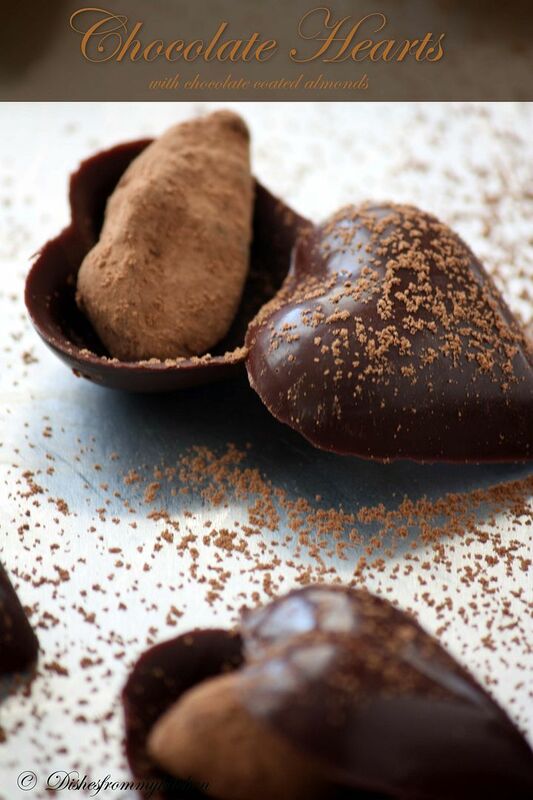 Tempered chocolate will have a crisp snap and won't melt on your fingers as easily as improperly tempered chocolate. For our purposes all that we need to know is that with tempered chocolate the crystals have formed in a uniform way which gives us great looking and tasting chocolate. 1. Liberally grease a 10-inch round spring form cake pan with vegetable oil. Trace the bottom of the pan on a piece of parchment paper. Line the bottom of the pan with the parchment paper circle. Line the sides of the pan with a parchment paper so that the parchment paper creates a collar that sits 1 to 2-inches above the pan. Liberally grease the parchment paper. 2. In a deep medium saucepan add sugar, corn syrup, water, and vanilla. Over medium-high heat bring the mixture to a boil (without stirring) and cook until hard crack stage, i.e. until temperature reads 285°F / 140°C on a candy thermometer (if using light corn syrup, it will be light amber, if using dark corn syrup it will be the color of maple syrup). This should take about 10 minutes. If sugar crystals form on the sides of the pan during the cooking process, brush the sides of the pan with a clean pastry brush dipped in water. 3. Remove from heat. Working quickly, add the baking soda and quickly blend to incorporate the soda into the sugar mixture, about 5 seconds. The mixture will bubble up when you add the baking soda. Be very careful not to touch the hot mixture. 4. Immediately pour the hot toffee into the prepared pan. Let set completely before touching. Cut into pieces. It makes a huge mess. But the messy little crumbs can be saved to top ice cream. 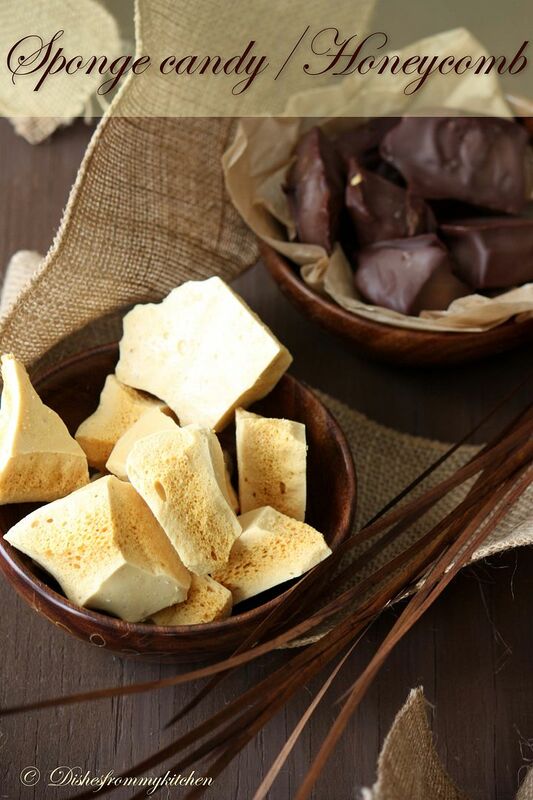 Leave candy as is and enjoy, or dip pieces in tempered chocolate and let set. 1. Lightly oil (or line with parchment paper) an 8”x8” (20cmx20xm) square pan; set aside. 2. Combine citrus juice and applesauce in a medium, deep saucepan. In a small bowl, whisk together the pectin and 1/2 cup sugar, and blend into the lime mixture. Clip a candy thermometer onto the side of the saucepan and bring mixture to a boil. Add remaining sugar and boil, stirring, until mixture reaches 225°F / 107°C (you may need to stir constantly toward the end to prevent burning). Remove from heat and stir in lime zest and colouring (optional). 3. Pour into prepared pan. When slightly cool, sprinkle sugar on top, and allow to set, about 2 hours. Cut into 1-inch (25 mm) squares, or use a lightly oiled cutter to make other shapes. Dredge in sugar and dry on a cooling rack overnight. Scraps can be re-melted and reset. 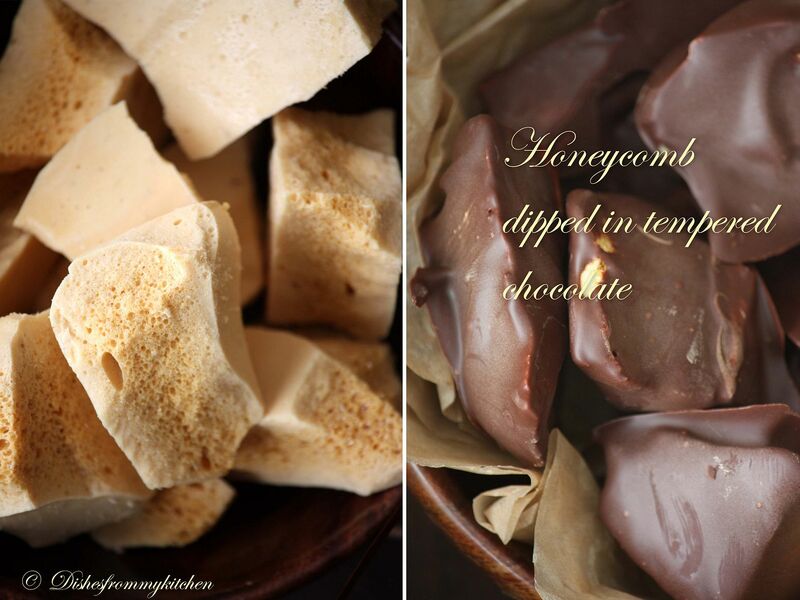 Wow...Pavi u made a whole lot of candies..I cant pick which is my favourite:-) The honey comb look ssoo perfect!! Wow! Pavithra these are beautiful!! Great job on this month's challenge! OMG ! Pavi this is too much for a chocoholic like me to handle..Each one of them is so lovely and tempting. 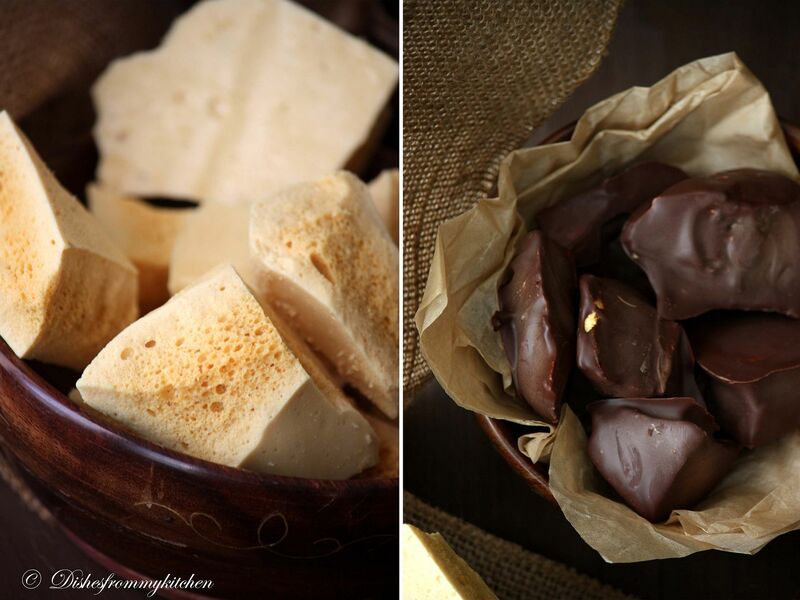 Amazing pics..
Omg, wat a beautiful and marvellous candies,dunno wat to pick,absolutely divine.. Your candies look great! 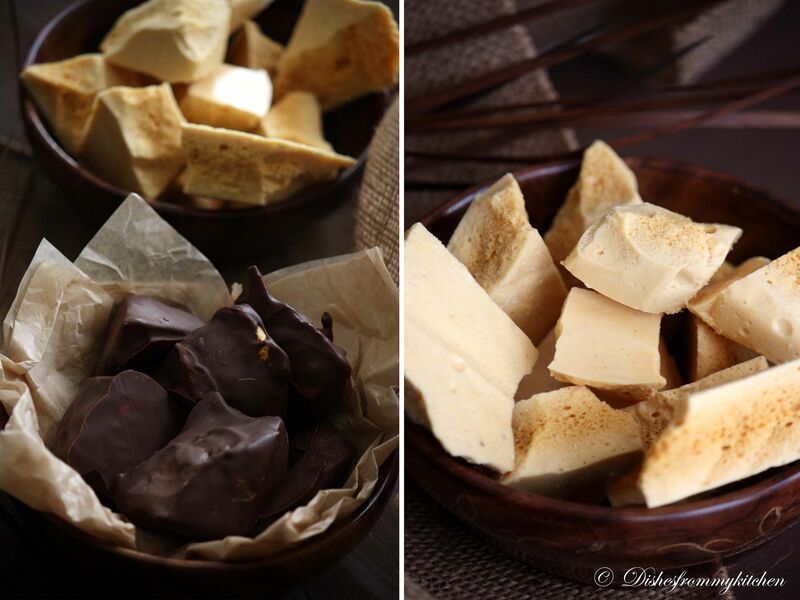 Love that sponge candy :) Fantastic job on this challenge, I'm still working on finishing my tempered chocolate candy! Oh. my. goodness. What a variety of candies you were able to make this month. They all look beautiful! Nice job on the challenge! 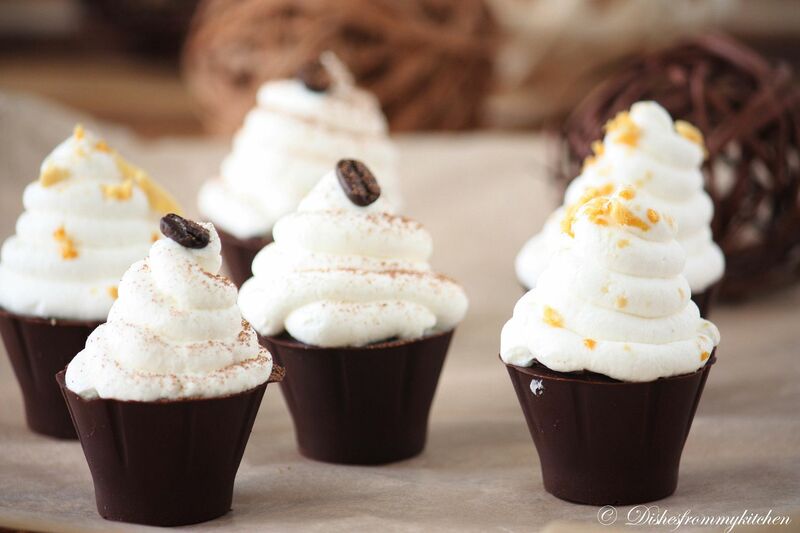 Wow, I am so impressed by the excellent job you did for this month's Daring Bakers' challenge. 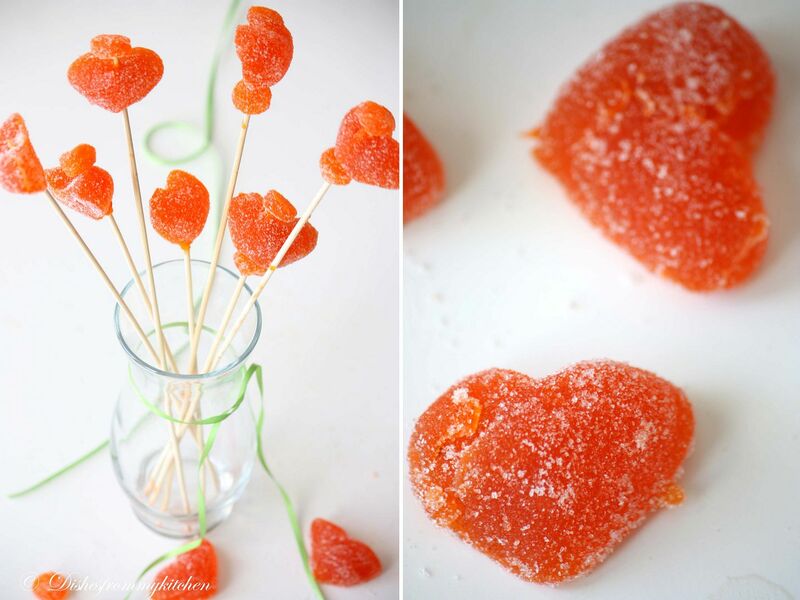 Your candies all look delicious, and the pictures are gorgeous! You were BUSY! As I went through your list, I kept finding chocolates I wanted more and more. 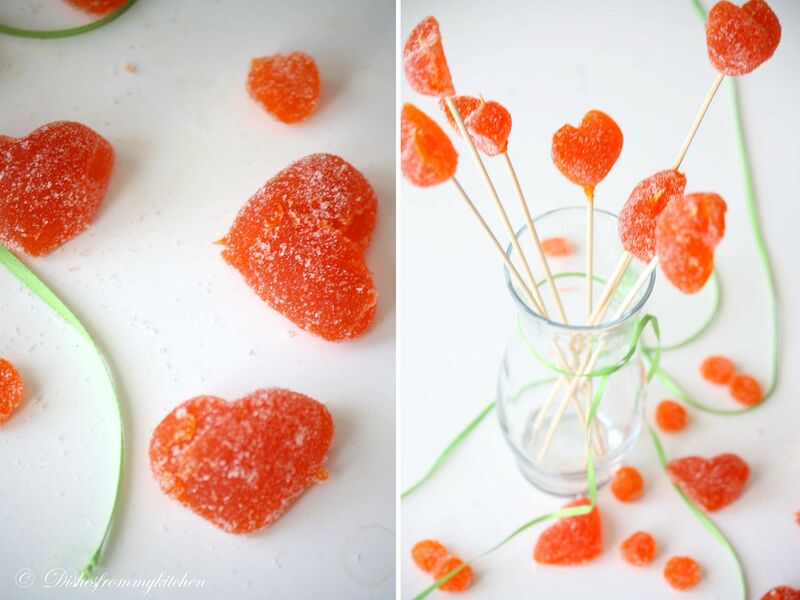 I love your pate de fruits on the sticks! I think kids would go crazy over those. 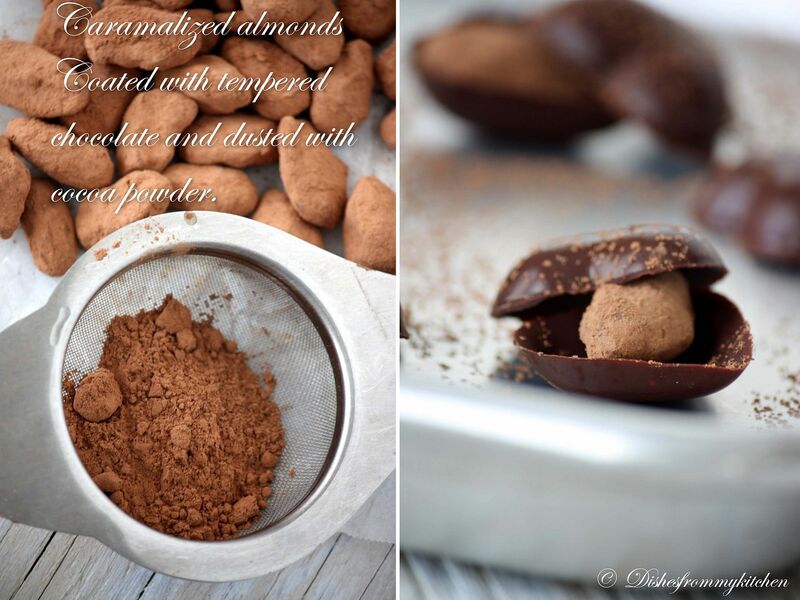 And your first bonbons made me so hungry! OMG, Pavritha..I just clicked into a virtual, stunning, candyland! You went above and beyond what we asked for in this challenge, and you are certainly a master at it, your candies are perfect, espcially love the Violet rumble like spongee and the chocolate candy cup cupcakes! Thank you so much for taking part in our challenge!! 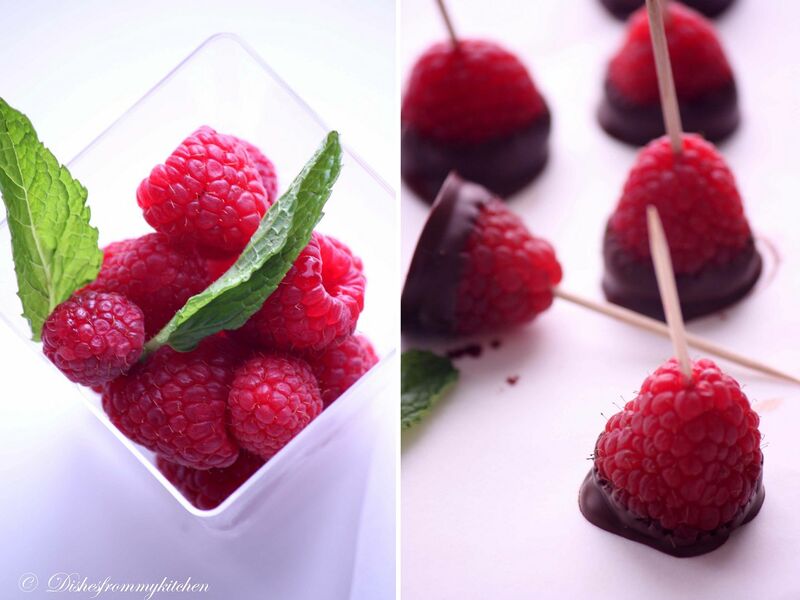 Those chocolate dipped raspberries are beautiful, and I love the chocolate hearts! They are like little gift boxes with extra treats inside! You certainly enjoyed this challenge, and Ienjoyed seeing your creations! Sawa dee! 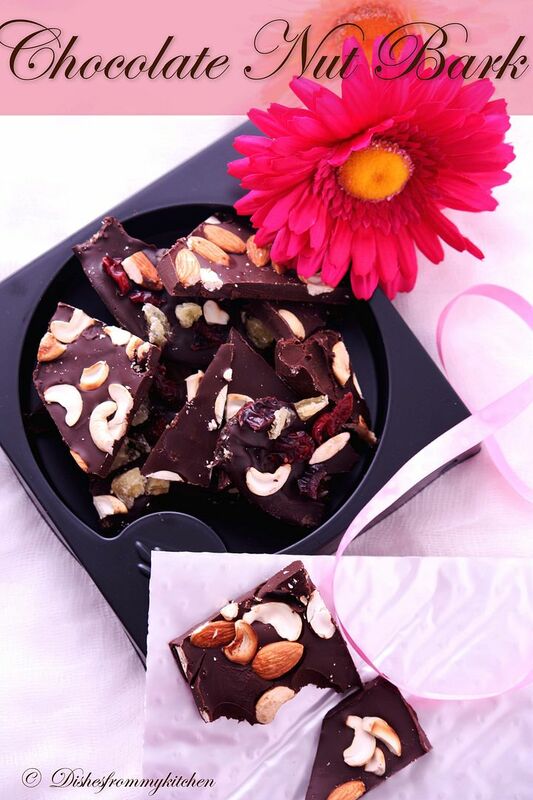 Awesome is a simple word to describe your excellent arena of chocolates and its variations. You are a Professional baker and chef in my opinion and have the abilities and skills to take the things to the next level. My heartfelt wishes to you to have more success and happy moments. What a wonderful collection of candies. I just cant take my eyes off. Bookmarked. So many varieties! Looks great. 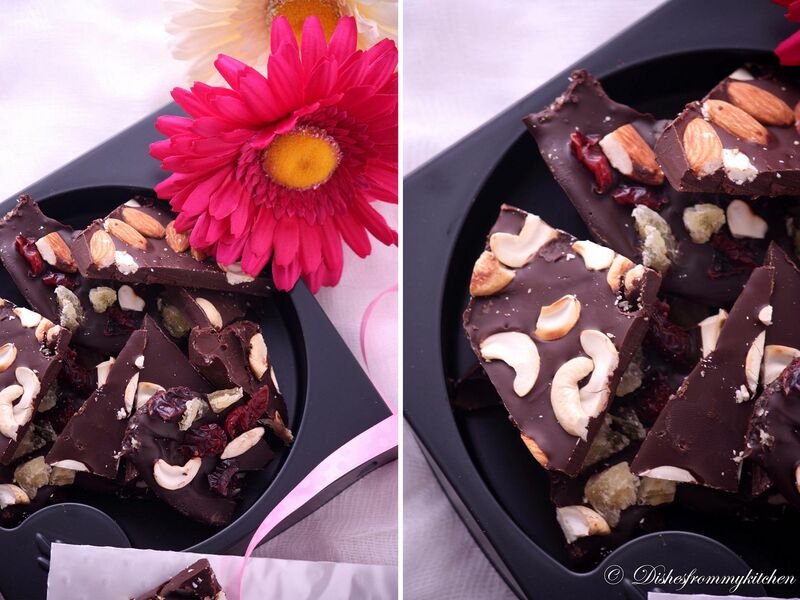 OOOwesome...Luv the chocoholic mood of pictures.. 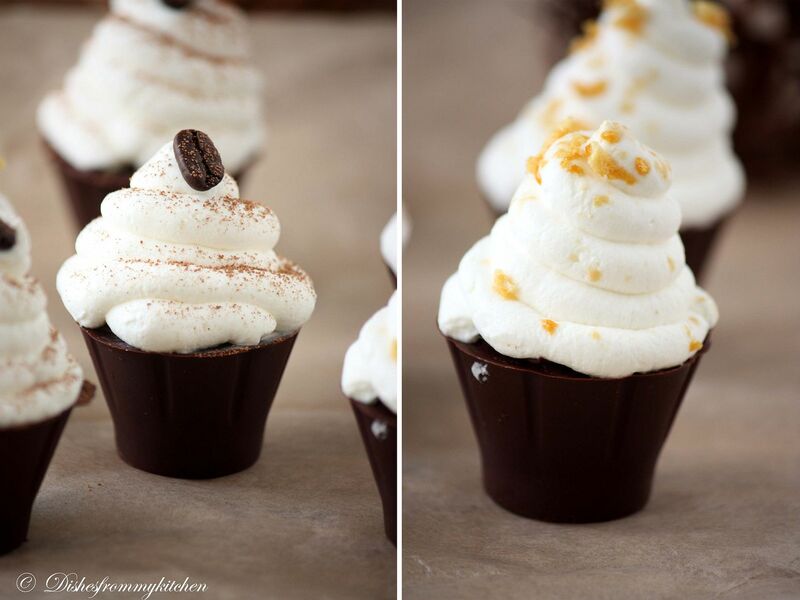 This is such a feast for the eyes (and tantalizing my sweet tooth!). I think you've gone beyond daring - into star-soaring! Beautifully done. Consider me hooked! Wow! You did an amazing job on this challenge. Looks professional. Definitely looks like you had a good time with this challenge! What a lovely range of treats that you made! 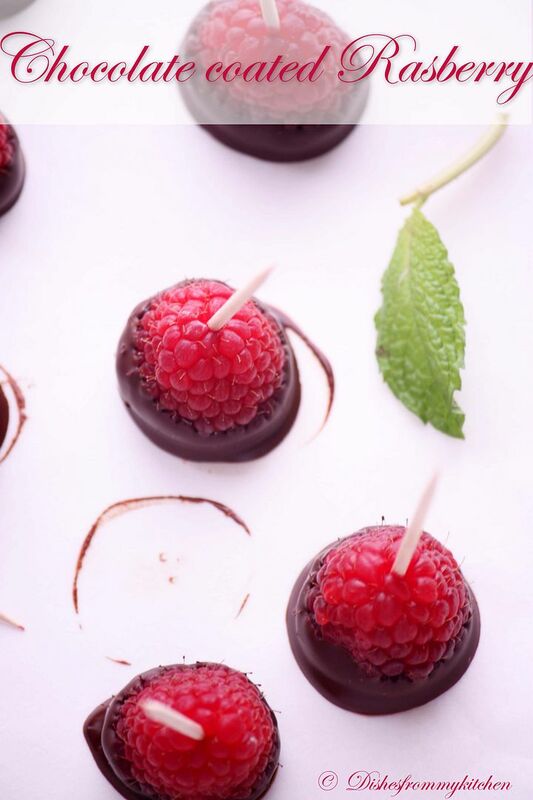 I love the choc dipped raspberries, they'd be lovely on a cake or as part of a dessert platter. Gorgeous! 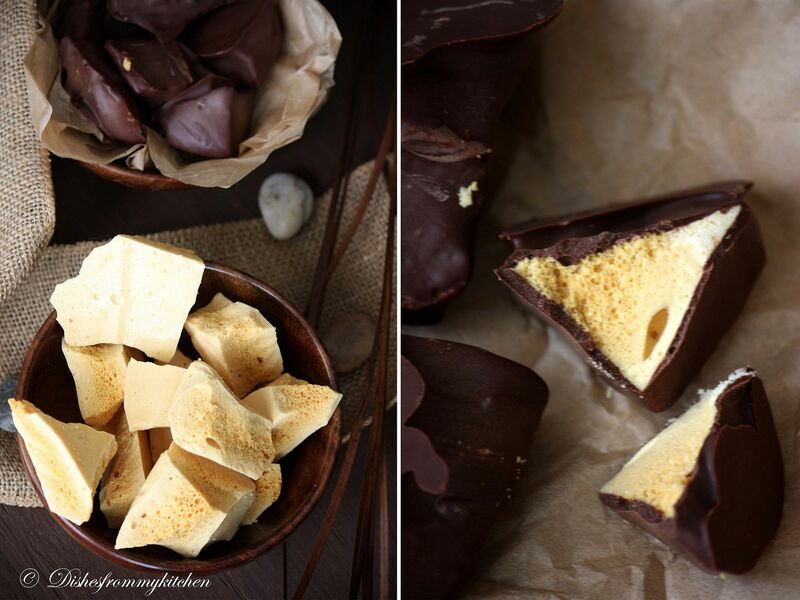 Your honeycomb also looks lovely and I love the sound of your cream topped/filled bonbons. OMG!!!! Fabulous!!! A feast for the eyes..!!! Im in candy heaven!! OMG!!! absolute feast fit for the king. Looks so great and stunning pictures made me run to the fridge for some chocolate but they did not measure up to these you have shown here. ooo my god....wat to say..super.. 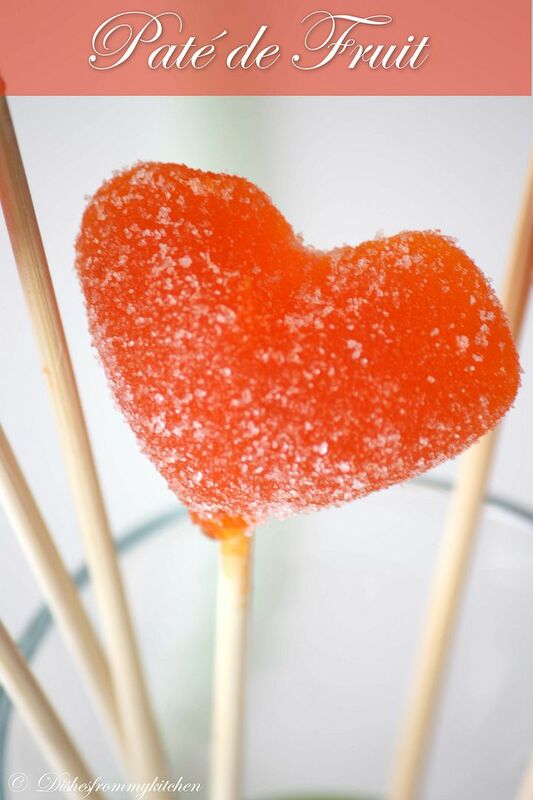 Your photos are soooo beautiful....and all your candies look deliciously divine. How you make these so complicated delights is beyond me, but i wish i lived by you. 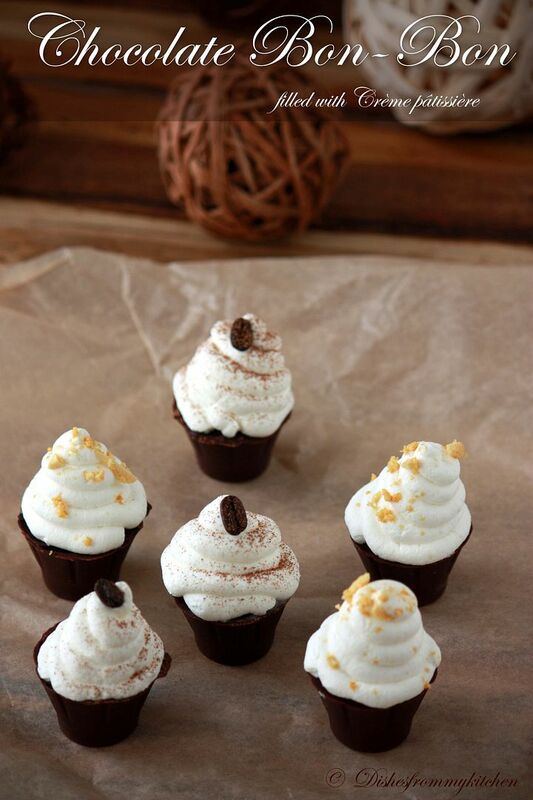 beautiful pictures to go with the beautiful treats. Wow ~ I feel like a kid staring at all those yummy treats ~ gorgeous , stunning fantastic what should say~ no words can do justice Pavi ~ impressed again!! I feel like a kid in a candy store all the treats looks yummilicious. these are so beautiful, Pavithra! and so tempting! how do u make the honeycombs? I was eyeing this post for a very long time 2 days back, but couldnt comment due to poor connectivity.. Fabulously Amazing would not describe, cant find better words.. Kudos to A real real daring baker!! 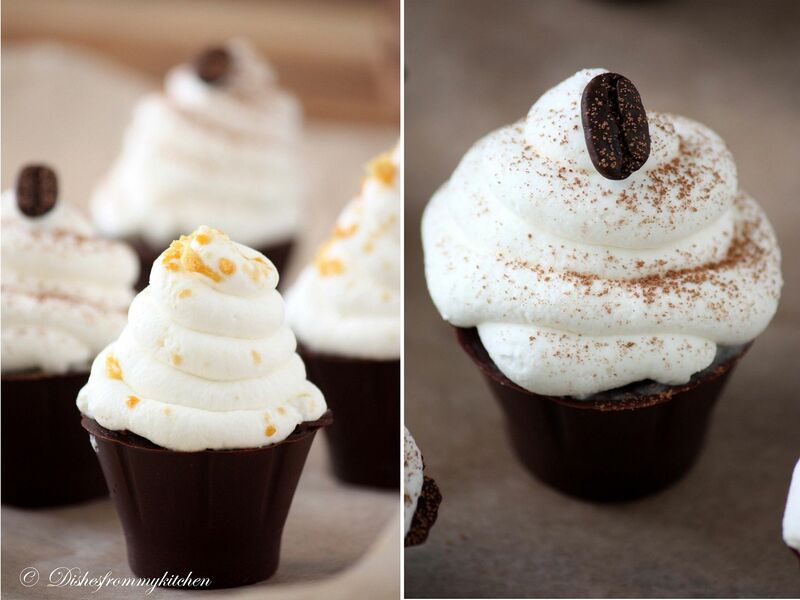 Mind blowing clicks and amazing collection of recipes. mm... you rock dear. very very chocolaty. amazing clicks... wow - what a treat! Hey pavi, you are making me drool by posting these heavenly pics. Chocolates in many forms makes me so nostalgic. 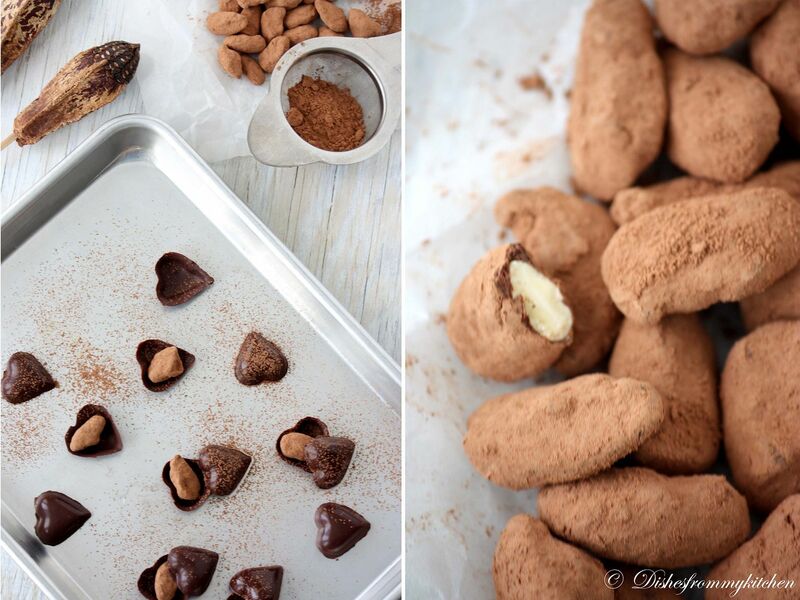 I would do tempering n all back home n send the home made chocolates to friends n family. 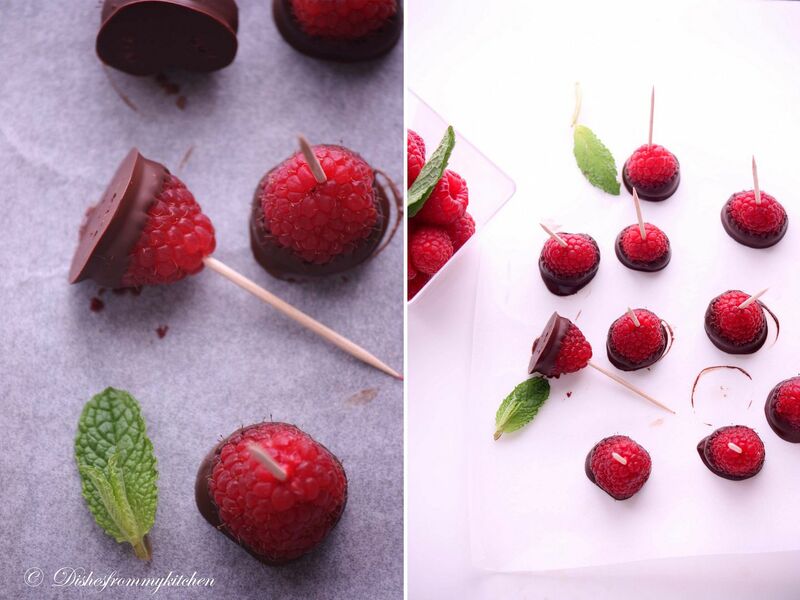 I appreciate your efforts, forget not to send me some :) Raspberry coated chocs looks awesome n honey comb too.